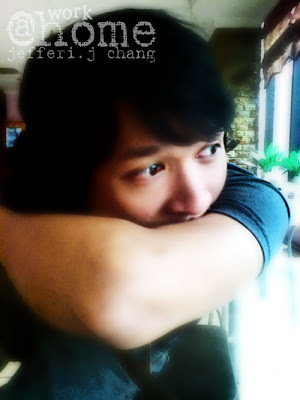 Photo above was taken by me using my friend’s cyber shot hand phone camera. I like the depth of field that focuses on the ring foreground and the faces blur at the background. The actual photo was actually out of highlight and shadow. I do a heavy photo shop touch up on the photo and ended up manipulate some optical illusion on this photo. I’m not sure if i can call this as a portrait or not. Somehow, I feel that this is not right as a portrait itself or might not interesting enough to be one. My friend’s little brother has a good look and style from my point of view of portrait. I don’t know if my concept is the right way or not because i didn’t have any formal education such as flanegan. Everything has to base on heavy reading via internet and some others example. Photo above have a dark shadow on the left side. I like the natural light setting gentle on his face and the shoulder with him not looking at the camera giving an impression that he is thinking. This photo was heavily touched up and put effect. I got this idea from clarice who took a nice self portrait of herself and in another hand, I took others people portrait. 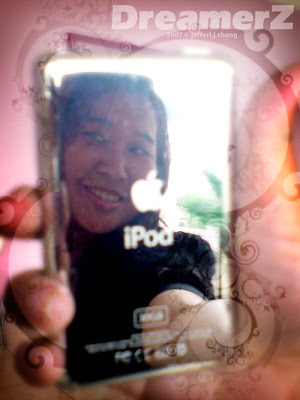 The mirror reflection my friend and iPod wording sure give a double meaning. The subject have an iPod and happy with his gadget. Not looking at the camera gave the face a smooth looks. The motif and pattern blend in softly and over burn color giving it a nice effect like a lomo camera. I have some friends volunteer for my portrait test shot. One is a personal shot and one a real couple mock up as a pre wedding test shot. I do it for free at the moment because I need to get the feel of working with people and make sure the equipments that I had adequate for the purpose. With rain almost every day for a week, I have to wait for a good weather and most important for the subject to get ready without hesitation of me taking their photo even thou it just a test shot. I wish I had the time and resource to do lots of experiments of photography but with limited and not so perfect sets of equipment that I had to spread among the photography, video and graphic, I ran out thin. the most important thing is that you willing to spent great amount of money and time into this. even a hobbyist photographer or graphic design create a good dam artwork. so, the professional have to double up the effort to compete or he/she might lost out to them. i myself still struggling for being a self made photographer, video and graphic designer. nevertheless, by knowing where to find the right information or skills in the internet, one never need to go to those expensive college or asking for people to teach. i don’t think many willing to teach others their skills and know how because it will create a new competitors for him with such access of the equiptment so easy and cheap. Hey I thought I left a comment here. Was I hallucinating? I wanted to say that I love the ring picture. I took picture with my ring and my fingers look like sausages. did you? hallucinating or day dreaming is normal i guess. 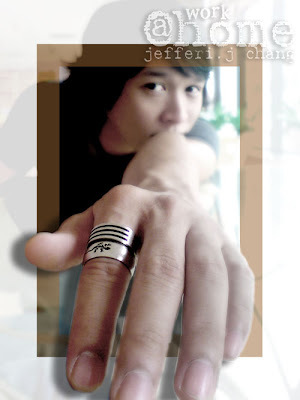 well, the portrait with ring taken with a sony handphone camera because it got a move able auto focus lens. the depth of field (blur at back and sharp at front) effect was boosted up with photo shop. the right lens to capture this pose is a lens with bigger aperture. below f2 i guess. photo shop also can create this kind of effect but it will look bad if done wrongly.